Throw together a salad and top with homemade dressing. 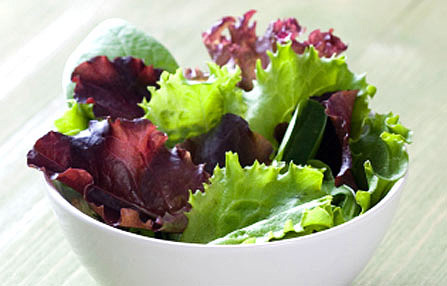 A 1 1/2 cup of tossed salad contains about 40 calories. Add ingredients and toss. Serve with favorite dressing.